Neuronus 2018 IBRO Neuroscience Forum was anniversary 10th edition of Neuronus conference. 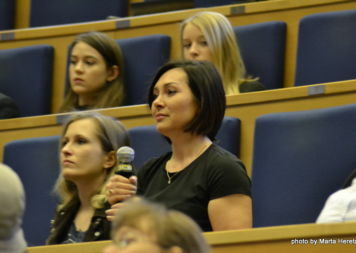 It was held from April 20-22nd, 2018, at the Auditorium Maximum of Jagiellonian University. 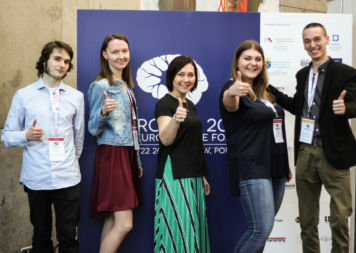 Main organiser of this conference is Student Neuroscience Society „Neuronus” which once again showed the world, that students can step up to the mark. During those 3 days, more than 500 people from 102 science institutions localised in 26 countries around the world, had an opportunity to attend 19 oral sessions, with more than 80 speakers. Moreover there were 3 poster sessions, 6 keynote lectures and more informal meetings like „Meet your speaker” panel or Saturday’s evening Tram Party. All this make this event the world largest neuroscience & cognitive sciences conference organised by students. 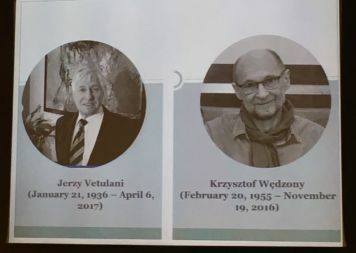 Neuronus 2018 IBRO Neuroscience Forum started with Memorial Session: „DRUGS THAT HEAL, DRUGS THAT KILL: Tribute to Professors Jerzy Vetulani and Krzysztof Wędzony” co-organized with Institute of Pharmacology, Polish Academy of Sciences. The Memorial was organized to honor two exceptional scientists that recently passed away. 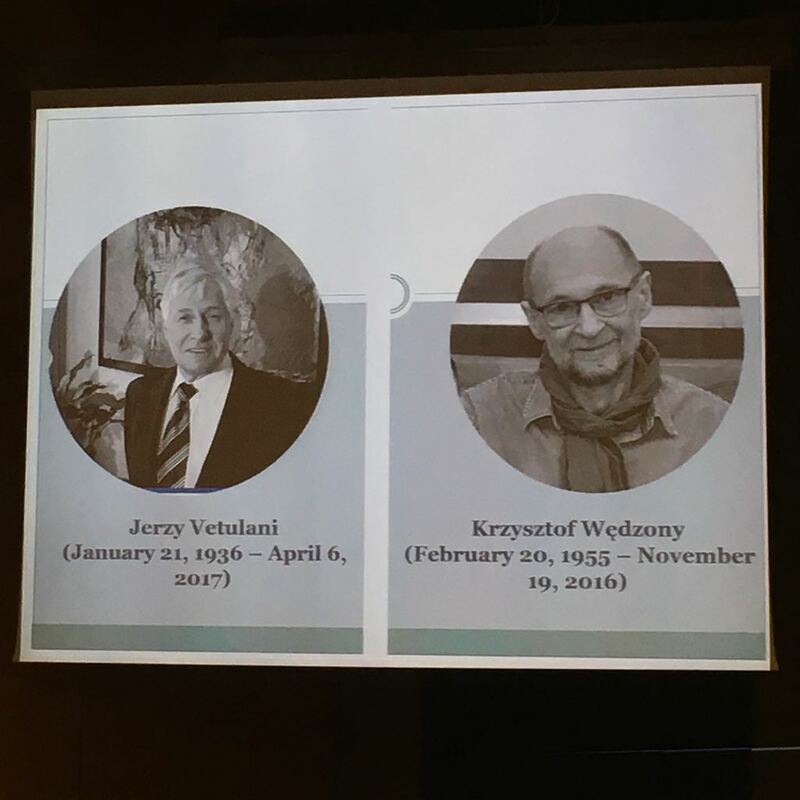 Professor Jerzy Vetulani and Professor Krzysztof Wędzony who were brilliant neuroscientists, charismatic research leaders, unforgettable teachers and mentors. Speaches during that tribute showed us how work of these 2 men was crucial in neuroscience development. 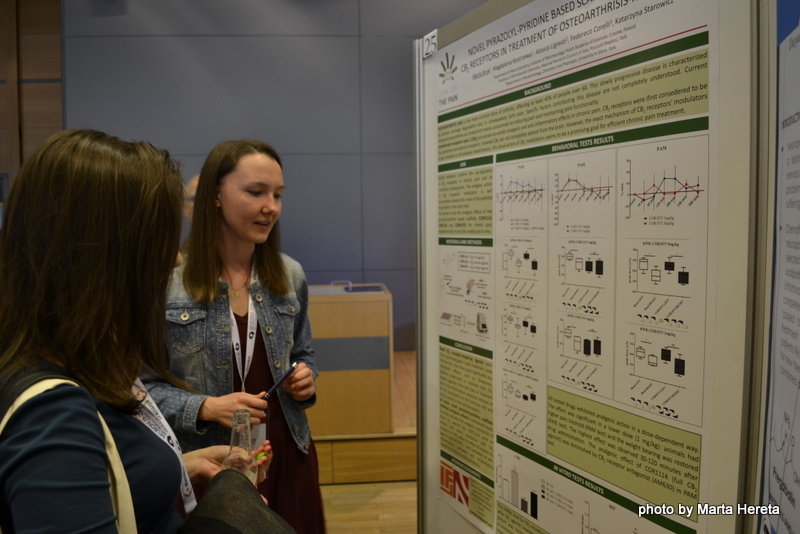 The conference was always familiar to our lab because Marta Bryk., Kuba Mlost. 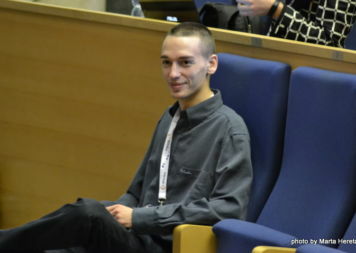 and Przemek Kac are present or former members of „Neuronus” Society. Marta Hereta. 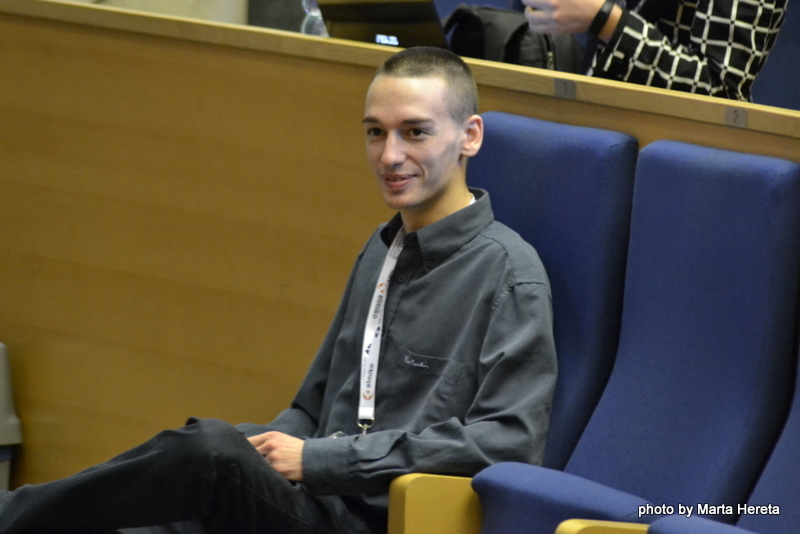 is conference photographer since 2012. 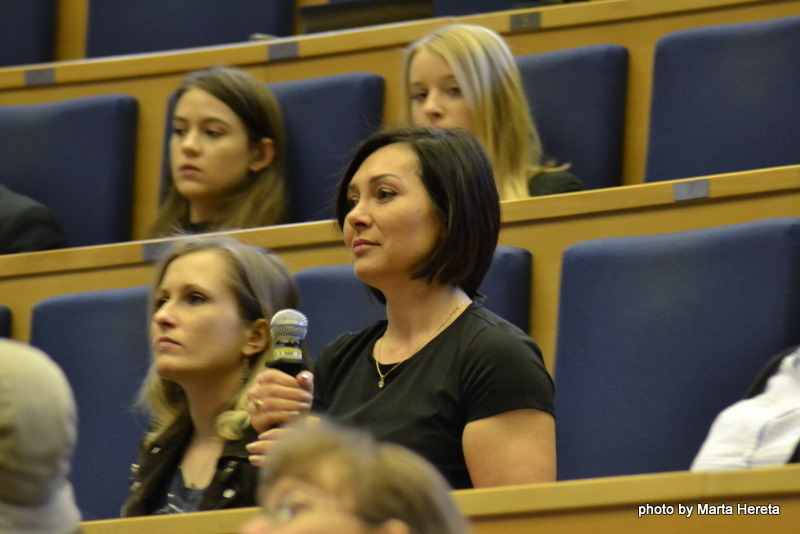 Also Kasia was invited speaker at Neuronus 2014 IBRO & IRUN Neuroscience Forum so we couldn’t miss this event! Marta Bryk. and Kuba Mlost. were active participants at Friday’s poster session. 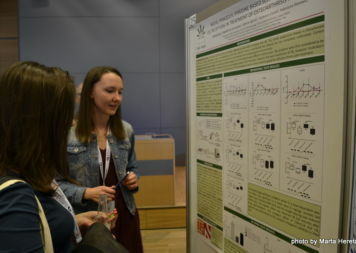 Marta was presenting a poster entitled: „Novel pyrazolyl-pyridine based scaffolds targeting CB2 receptors in treatment osteoarthritis-related pain” which focused on role of novel CB2 receptor modulators in treatment of pain, resulting from cartilage degradation in an animal OA model. 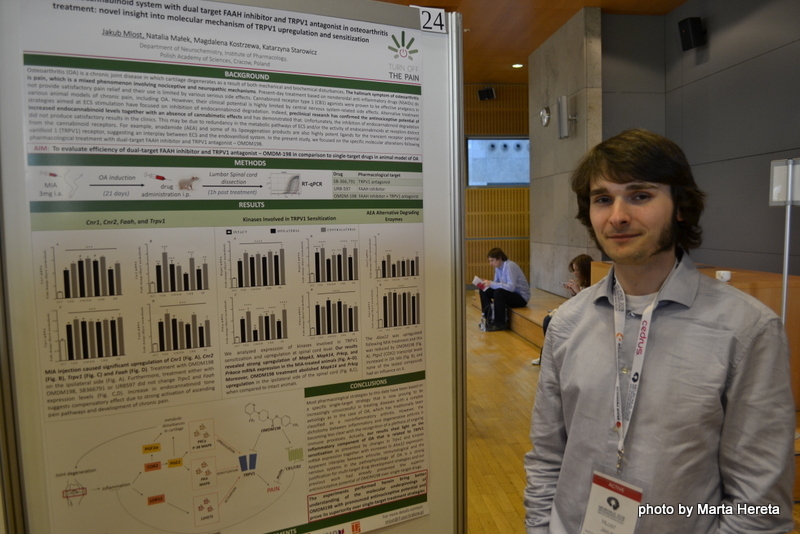 Kuba’s poster was entitled „Targeting endocannabinoid system with dual target FAAH inhibitor and TRPV1 antagonist in osteoarthritis treatment: novel insight into molecular mechanism of TRPV1 upregulation and sensitization”. 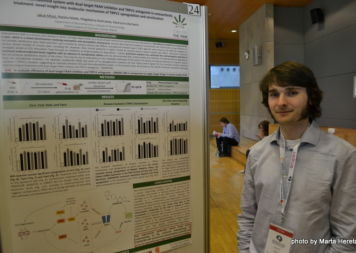 It was based on his Master Thesis in which he managed to expand our understing on molecular underpinnings of pain pathway sensitization in OA. On saturday’s evening we all attended „Tram Party”. It is a great opportunity to meet and speak to other fellow neuroscientists in very informal and unusual environment, because as the name suggest, it is actually a party, in a tram, which goes all around the city for about 2 hours. With professional DJ accompaniment and Neuronus 2018 participants, we had a lot of fun and joy there. we were all up and running for Monday’s work in a Lab after such an inspirational weekend. 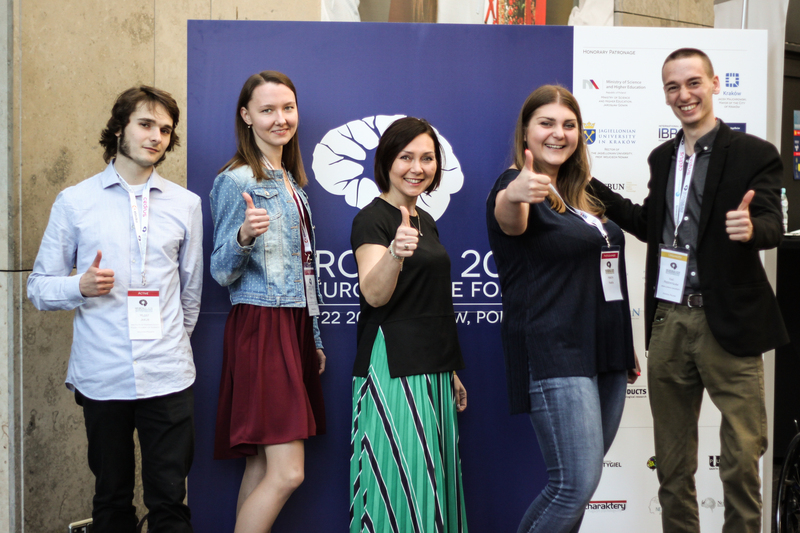 We can’t wait to participate in Neuronus 2020!